Alan was less than five years old when he started playing the piano, and took up the trumpet in high school. Alan formed The Alan Quinn Orchestra in 1982 as a way to showcase his talents on both instruments. When not working with the band, Alan keeps very busy as a church organist, freelance trumpeter and piano player. Jazz notables such as: The Vanguard Jazz Orchestra, Dizzy Gillespie, Jon Faddis, Urbie Green, Michael Brecker, Randy Brecker, Barry Harris, Joe Locke, Dr. Jon Hendricks, Charles McPherson, Byron Stripling, Buddy DeFranco, Dave Tofani, Bob Mintzer, Conrad Herwig, Rufus Reid, Paquito D’Rivera, Walt Weiskopf, the New York Voices, Claudio Roditi, John Fedchock, Lew Tebaken, Toshiko Akiyoshi, Arturo O’Farrill, John Pizzarelli, Maria Schneider, Joe Lovano, Peter Erskine, Jim Pugh, Rufus Reid, Benny Golson and many more! Alan was featured at a New York Mets game playing ‘The Star Spangled Banner’ on trumpet. 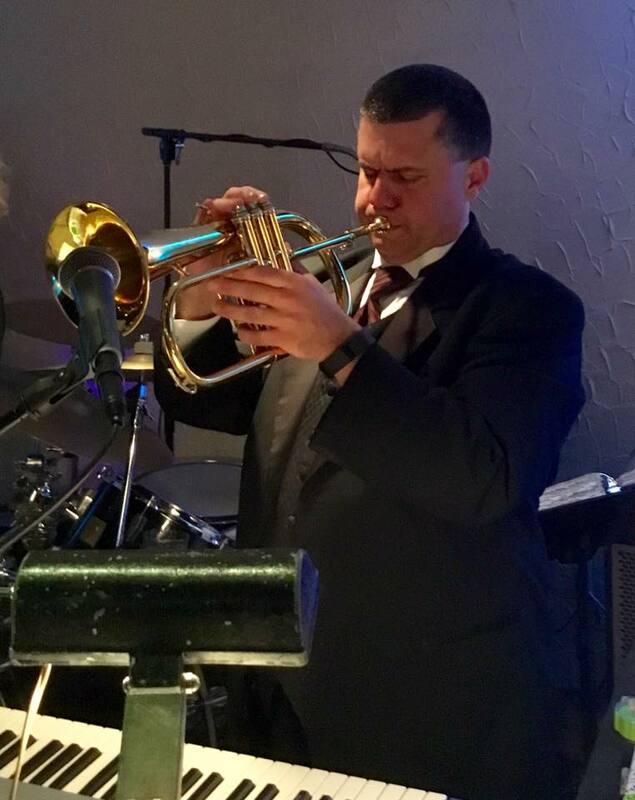 Alan has worked with acts such as Bobby Rydell, Little Anthony & the Imperials, Connie Francis and the Big Apple Circus as both a keyboard and trumpet player at different times. The pic at the piano above was taken at a very well attended event for singer Bobby Rydell.